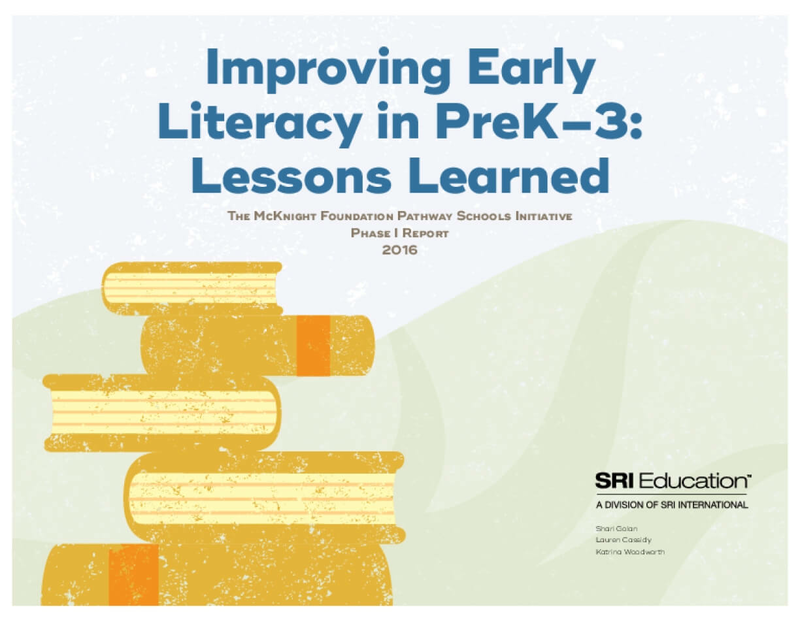 In 2011, The McKnight Foundation partnered with a set of districts and schools in the Twin Cities area, all serving high-needs students, on a PreK–3 literacy initiative. The Pathway Schools Initiative aims to dramatically increase the number of students who reach the critical milestone of third-grade reading proficiency, an indicator predictive of later academic outcomes and high school graduation. This report focuses on findings from Phase I of the Pathway Schools Initiative (2011–2015). The McKnight Foundation selected the Urban Education Institute (UEI) at the University of Chicago to serve as the initiative's intermediary. UEI was tasked with providing the intellectual, conceptual, and managerial leadership for the initiative as well as professional development and technical assistance focused on literacy and leadership to the Pathway districts and schools. UEI anchored this support on two, validated diagnostic tools developed at the University of Chicago: the Strategic Teaching and Evaluation of Progress (STEP) developmental literacy assessment and the 5Essentials Survey. Participating Pathway schools and districts carried out the day-to-day work of the initiative. They used grant funds to expand or refine their PreK programs; hire additional staff such as program managers, literacy coaches, classroom aides, and family engagement liaisons; and purchase high-quality instructional materials, such as classroom libraries or tablets. An advisory group, the Education and Learning National Advisory Committee (ELNAC), was established in 2010 to help inform decisions about the initiative. SRI International has served as the initiative's evaluator since 2010. Copyright 2000 by SRI Education. All rights reserved.